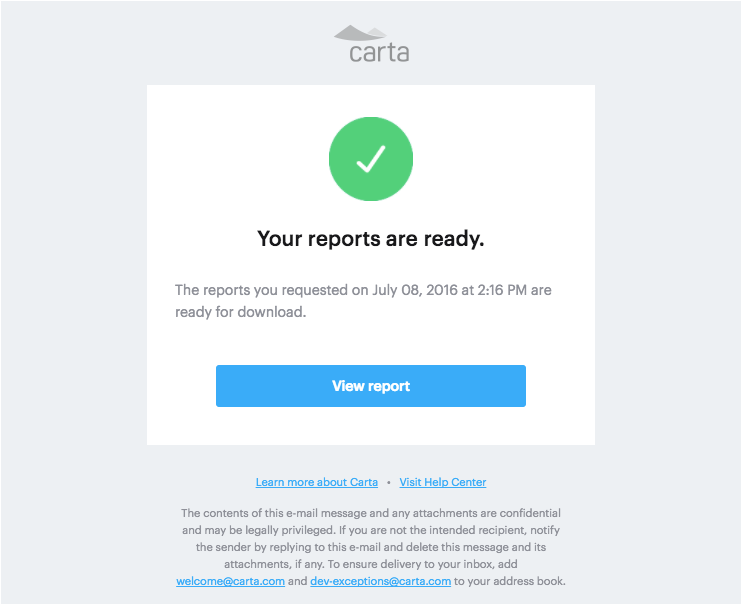 Once the report generation is completed, you will receive an email from Carta letting you know that the reports are ready for download. Select the blue 'View report' button and you will be directed to the Carta Expense Accounting page. Once there, you will want to download both the grant-date and the mark-to-market reports. If your equity plan includes Stock Appreciation Rights, you will also want to download the appreciation right expense report. If you chose to break the expense reports out by each equity plan, you will receive multiple grant-date and mark-to-market reports based on the number of equity plans currently outstanding.